Get in touch with nature at Opal Reef and Four Mile Beach. You'll explore the less-touristy side of things at Photography Tours and Spas. Venture out of the city with trips to Birdworld Kuranda (in Kuranda), Tranquility Falls (in Daintree) and Cape Tribulation (Daintree National Park & Daintree Rainforest - Cooper Creek Wilderness). Spend the 16th (Sun) spotting exotic species with a safari tour. Spend the 14th (Fri) among aquatic life with a scuba or snorkeling tour. There's still lots to do: identify plant and animal life at Hartley's Crocodile Adventures, stop by With Sugar, and make a trip to St Mary’s by The Sea chapel. For photos, other places to visit, reviews, and tourist information, go to the Port Douglas tour itinerary planner. Denver, USA to Port Douglas is an approximately 27-hour combination of flight and shuttle. The time zone difference moving from Mountain Standard Time (MST) to Australian Eastern Standard Time (Queensland) (AEST) is 17 hours. Traveling from Denver in June, expect somewhat warmer with lows of 65°F in Port Douglas. Finish your sightseeing early on the 19th (Wed) to allow enough time to travel to Darwin. Visiting Food Tours and Territory Wildlife Park will get you outdoors. Eschew the tourist crowds and head to Fishing Charters & Tours and Speed Boats Tours. The adventure continues: look for all kinds of wild species at East Point Reserve, take an in-depth tour of RFDS Darwin Tourist Facility, learn about all things military at Darwin Aviation Museum, and kick back and relax at Mindil Beach. To see more things to do, ratings, where to stay, and more tourist information, you can read our Darwin itinerary planner. Do a combination of shuttle and flight from Port Douglas to Darwin in 5.5 hours. Alternatively, you can drive; or take a bus. Expect a bit warmer weather when traveling from Port Douglas in June: highs in Darwin hover around 88°F, while lows dip to 70°F. Wrap up your sightseeing on the 22nd (Sat) to allow time to travel to Uluru-Kata Tjuta National Park. Kick off your visit on the 23rd (Sun): go for a walk through Lungkata Walk, get engrossed in the history at Uluru-Kata Tjuta Cultural Centre, view the masterpieces at Walkatjara Art, then trek along Kuniya Walk, and finally admire all the interesting features of Uluru. Keep things going the next day: hike along Uluru Hiking Path, don't miss a visit to Uluru, then admire the verdant scenery at Valley of the Winds, and finally take in the awesome beauty at Kata Tjuta. To see traveler tips, more things to do, other places to visit, and more tourist information, read our Uluru-Kata Tjuta National Park day trip tool . Getting from Darwin to Uluru-Kata Tjuta National Park by flight takes about 11 hours. Other options: drive. 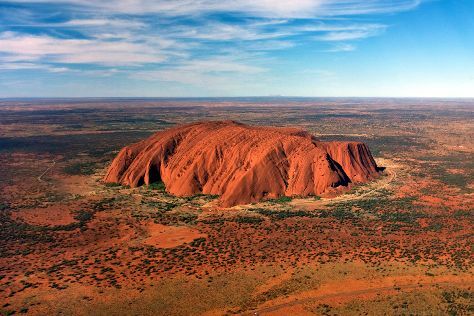 Traveling from Darwin in June, expect Uluru-Kata Tjuta National Park to be cooler, temps between 67°F and 44°F. Finish your sightseeing early on the 24th (Mon) so you can travel to Palm Beach. Start off your visit on the 25th (Tue): enjoy the sand and surf at Palm Beach, then visit a coastal fixture at Barrenjoey Lighthouse, then wander the streets of Whale Beach, and finally look for all kinds of wild species at Rowland Reserve. For other places to visit, more things to do, ratings, and tourist information, read our Palm Beach trip builder tool . Explore your travel options from Uluru-Kata Tjuta National Park to Palm Beach with the Route module. Plan for somewhat warmer nights when traveling from Uluru-Kata Tjuta National Park in June since evenings lows in Palm Beach dip to 50°F. 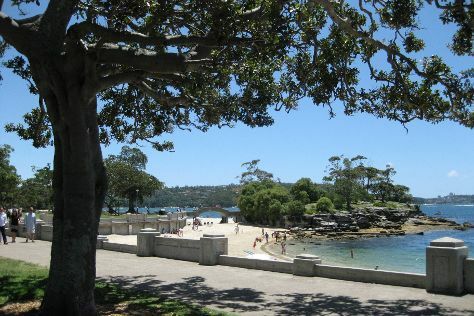 Wrap up your sightseeing on the 25th (Tue) to allow time to drive to Bondi. On the 26th (Wed), relax and rejuvenate at some of the best spas, kick back and relax at Bronte Beach, and then kick back and relax at Balmoral Beach, Mosman. For where to stay, other places to visit, traveler tips, and more tourist information, you can read our Bondi driving holiday website . Traveling by car from Palm Beach to Bondi takes 1.5 hours. In June, daytime highs in Bondi are 64°F, while nighttime lows are 50°F. Wrap up your sightseeing on the 26th (Wed) early enough to travel back home.